Nothing says summertime better than a toasted, buttery roll stuffed with sweet lobster meat. Pair the rolls with a crisp and refreshing Napa Valley white wine. 1. In a small bowl, mix mayonnaise and lemon juice. Put lobster meat in a large bowl and mix with the mayonnaise. Fold in celery and season with salt and pepper. 2. Heat a large skillet. Brush the insides of the hot dog buns with melted butter and toast over moderate heat until golden brown on the inside. 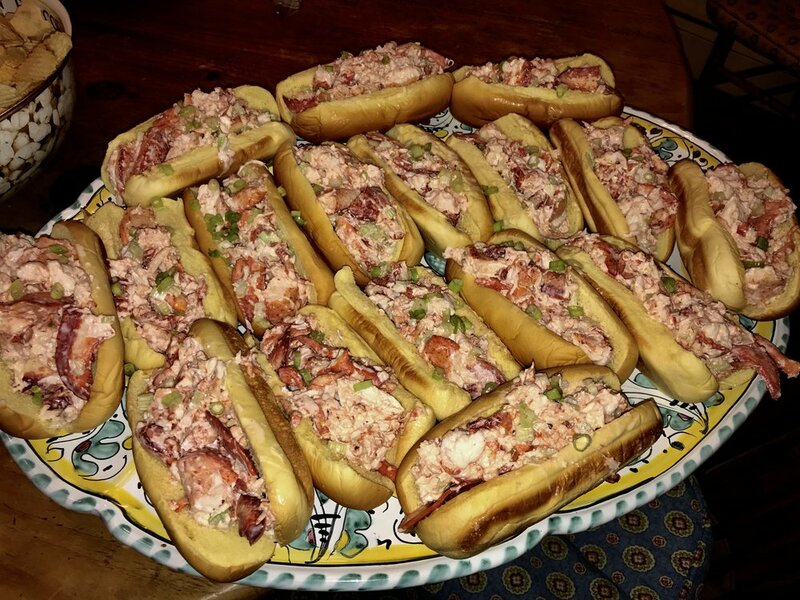 Transfer the hot dog buns to plates, fill them with the the lobster salad. Sprinkle with the scallions and serve immediately, paired with one of my suggested white wines from Napa Valley.